Requesting volunteer parishioners with pickup trucks for Tuesday morning on an ongoing basis. Contact Steve Joerger at sgjoerger@gmail.com for details and more information. Requesting donations of tuna fish; supplies have been completely exhausted in the pantry. Please leave donations in the vestibule of the church or the Parish Office. 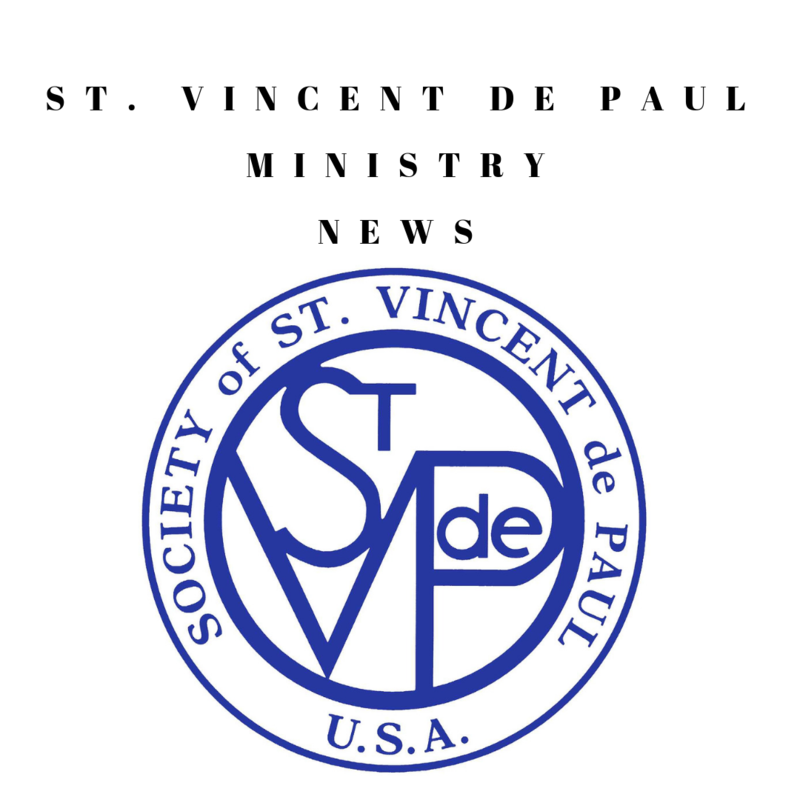 Please help St. Vincent de Paul, St. Juliana have a successful 2019 Easter Celebration for families registered with the Pantry. 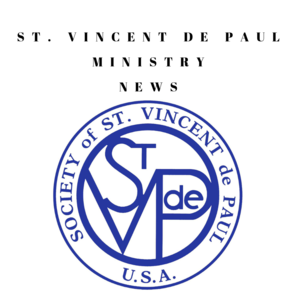 Saturday morning, April 13th, 9:00am—11am, St. Vincent de Paul will host the Easter celebration for our friends in need. Parents and children will visit the Pantry that morning for refreshments, socialization, games and Easter toys for children. Each family will take home an Easter Basket of food and goodies to brighten their holiday. Pictured below are volunteers with families at the Easter St. Vincent de Paul celebration. Your generosity helps make the celebration of Easter very joyful for families. A listing of items may be found in the March 24, bulletin.